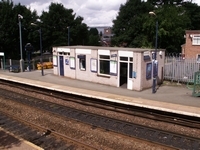 Old Hill Station was opened in 1866 and is still functioning today lying between Rowley Regis and Cradley Heath stations. However, it has gone through a significant change since its opening. It originally lay on the Stourbridge Extension of the GWR, the line it is on today, but also served what is commonly termed the 'GWR-end' of the Halesowen Railway. 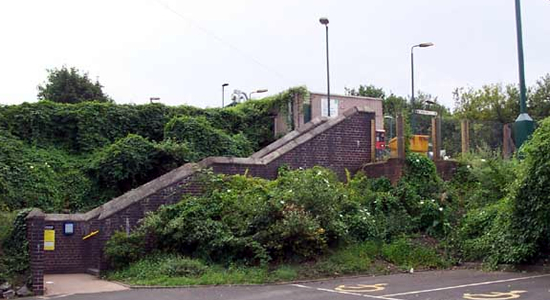 Above we see the sparse entrance to Old Hill Station from the car park off Station Road, August 2003. 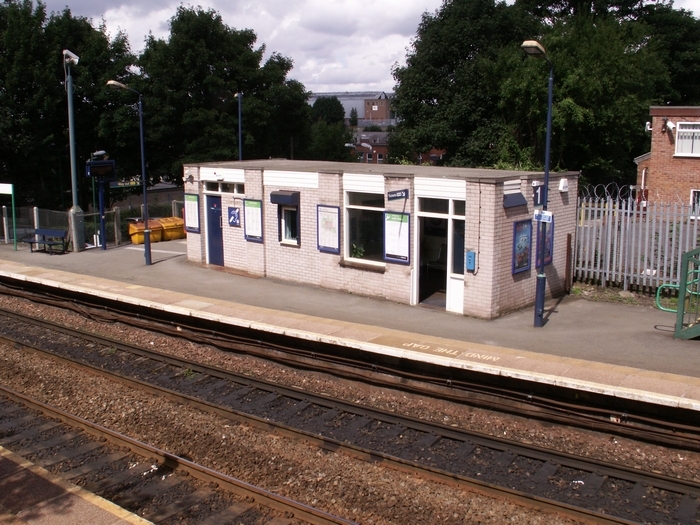 Above-left we see the station building viewed from the footbridge along the platform towards Cradley Heath. 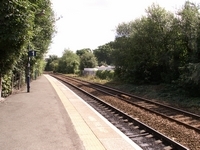 Once again I have to comment that the 'refurbishment' of the station during the last 20-30 years could have had a little more thought as the small brick building seen above-left appears out of keeping with the station and the original features of Old hill which can be seen in old photographs of the site and are sadly missed. 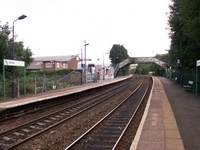 Above-right we are looking towards Rowley Regis from the Worcester platform and can see the station building and platform footbridge. Above-left we are still on the Worcester platform and this time looking towards Cradley Heath and to Worcester beyond. 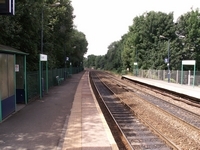 Above-right we have moved to the Birmingham platform to view the site where the old Halesowen Railway connection would, along with its own platform and waiting room, have swept in to the right of this picture: no observable . trace remains. The junction with the Halesowen Railway line is marked by the metal fencing ahead-right - the platform site now occupied by a builders merchants.